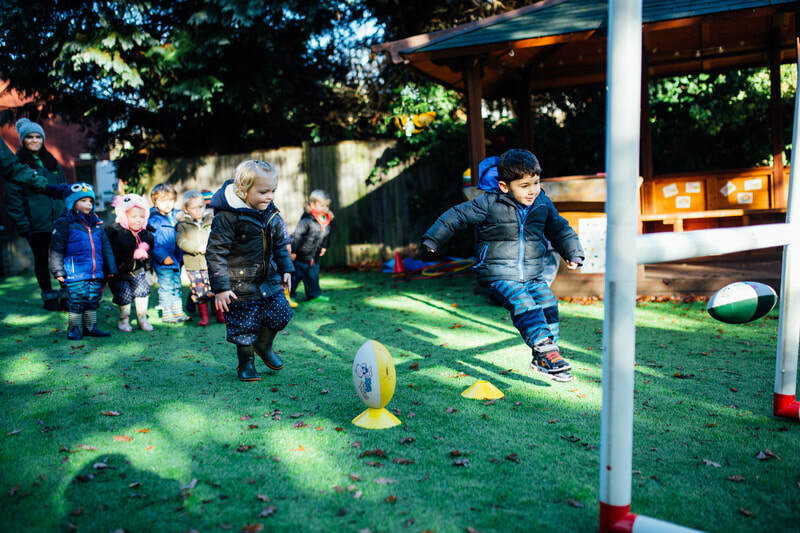 On Friday mornings, we offer an optional session of Rugbytots during our pre-school session, for the weekly charge of only £5.00. Sessions are run by Jason Morris from Rugbytots Surrey Heath and Borders. 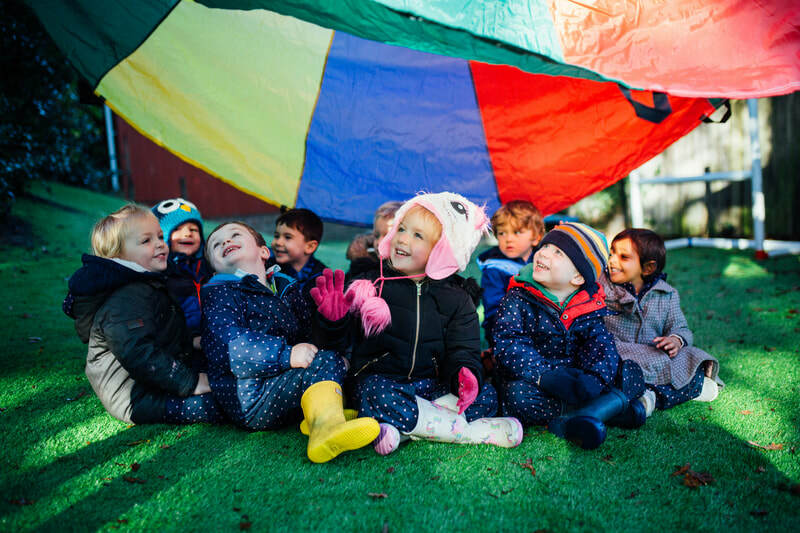 Download our lesson plan here. 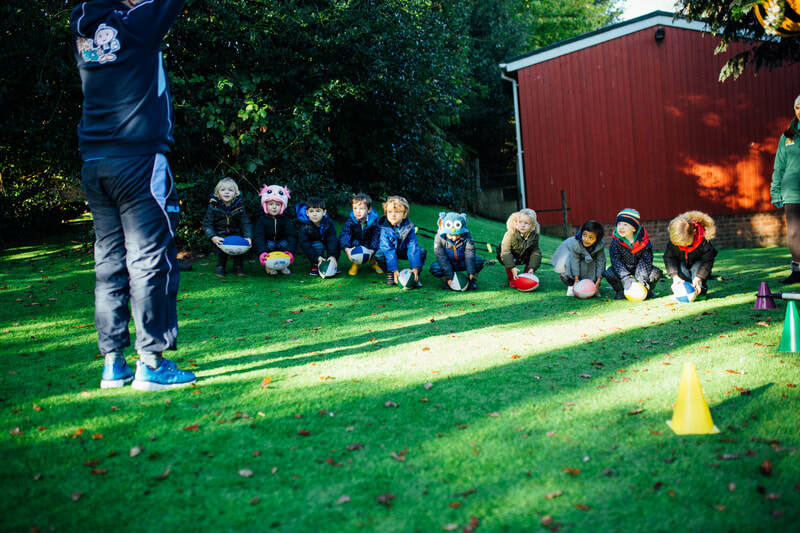 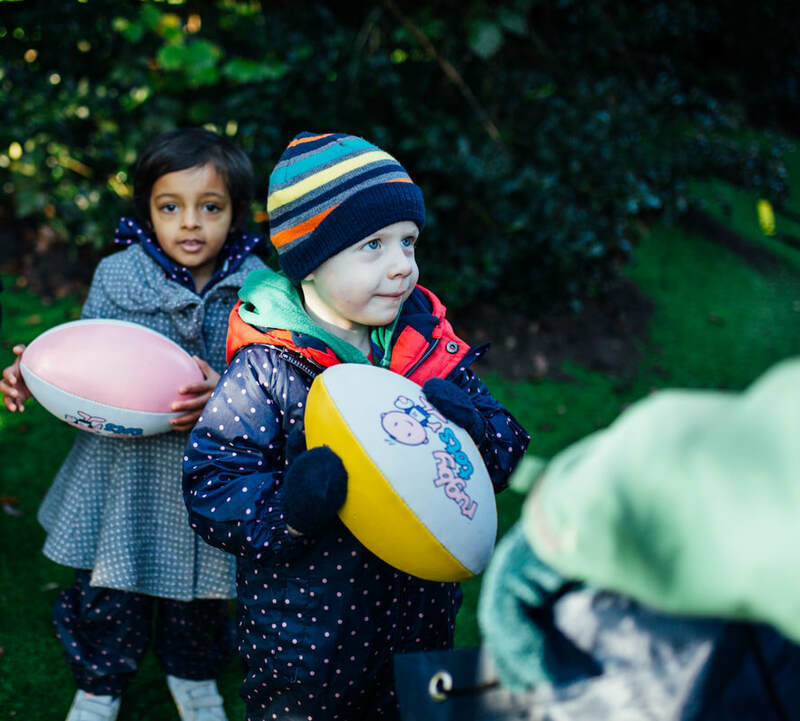 Rugbytots mission: "To set new standards in developing rugby related skills for pre-school children whilst providing a fun and structured play environment "